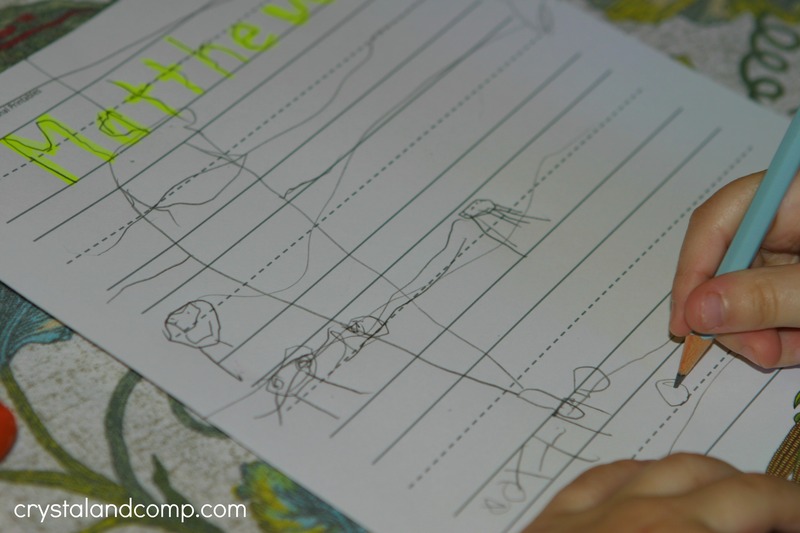 As I shared with you recently, I am in the process of teaching Matthew (4) how to spell and write his name. 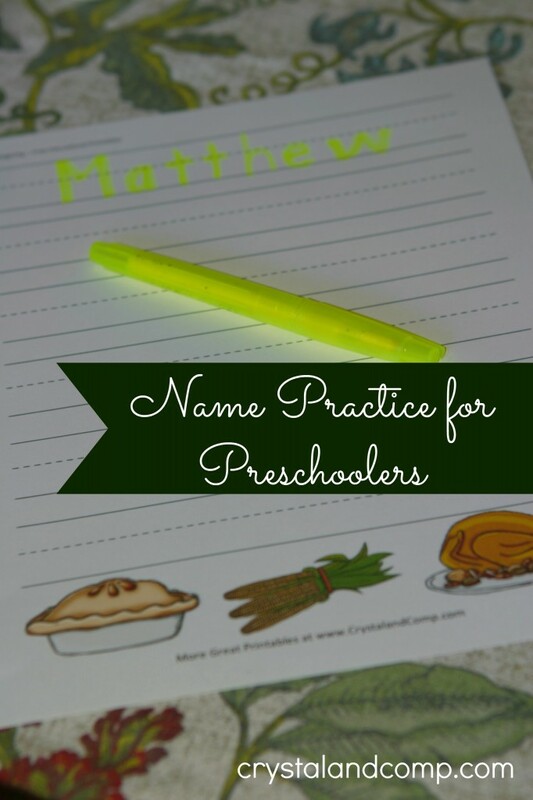 I am on the hunt for activities you can do with your kids to help with name practice for preschoolers. I love this Thanksgiving themed free worksheet set Kelli from 3 Boys and a Dog create for us to use. 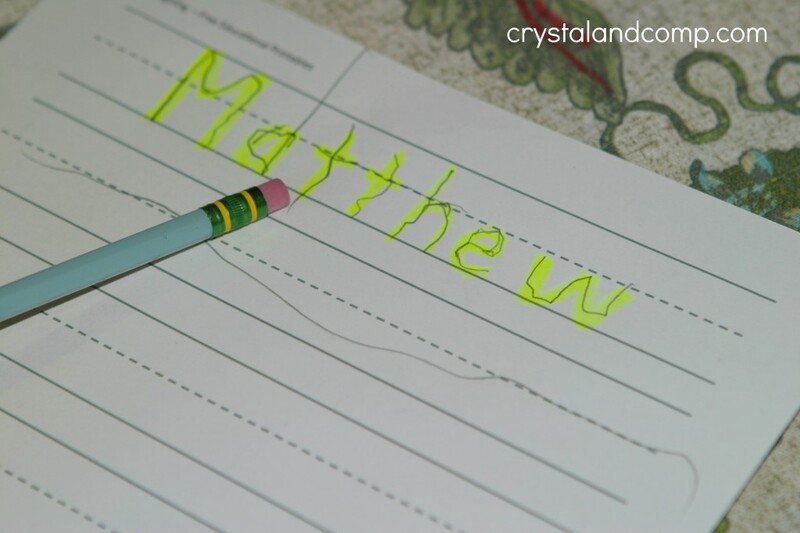 Since Matthew can’t write his name independently, I used a highlighter and wrote his name out for him. Then he used a pencil to trace the letters. Even if his work is not precise, that is ok. He is learning. Then we went letter by letter saying the name of each one. He only wanted to write his name once. We will work up to more as his attention span grows. Then, we used the rest of the space to draw a fun picture. Come back tomorrow and I will show you how I used these same Thanksgiving themed printables with my older boys for copy work practice. Make sure you check out my post showing how we did name practice for preschoolers using play dough and cookie cutters. 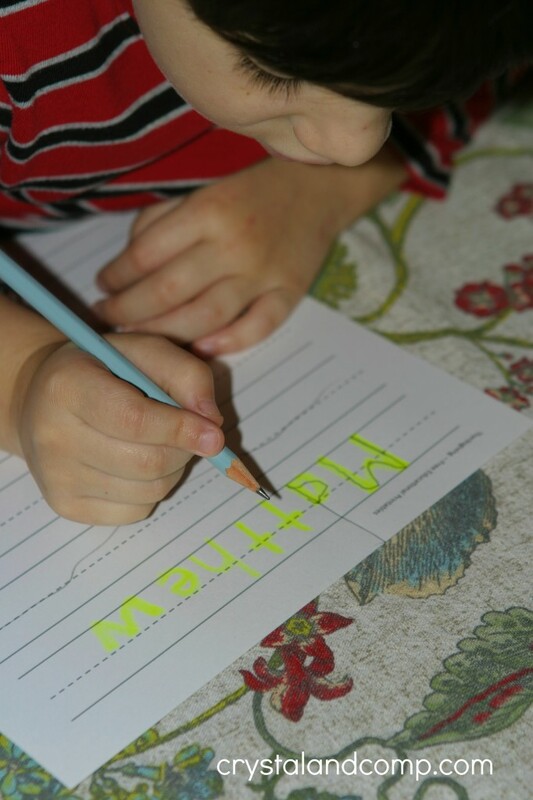 Also, check out our Preschool Letter Worksheets that use do a dot markers to find all the P’s for Pilgrim.